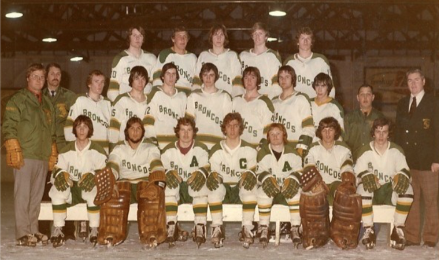 In 1973, I played for the Humboldt Broncos. I was recruited out of Nelson BC by Dr. Gerry Rooney and Dr. Terry Henning. That year, we went on to win the Broncos’ second SJHL Championship. The team was an incredible group of guys with character and talent. I played for two seasons in Humboldt. The influence of my teammates, the coaches, my billet family (the McConnells) and the community impacted my life, for the better and forever. It is no exaggeration to say the Humboldt Broncos and its community played a significant role in making me who I am. I suspect many of you that have been part of the Broncos organization have a similar story. We are a fraternity. The team made a real difference in our lives. That is the foundation for the Humboldt Broncos Alumni Association. The tragedy of April 6, 2018 was the catalyst that prompted us to reconnect and take action. In June of 2018, the Humboldt Broncos Board of Directors endorsed the Alumni Association, and a partnership was formed. The Humboldt Broncos Alumni Association (HBAA) is now a registered non-profit corporation that exists to steward the traditions and values of the Humboldt Broncos Hockey Club. The current Directors of the Alumni Association represent several decades of Broncos hockey. This is a players’ alumni, gathering all who have worn the jersey. The HBAA welcomes every player who was registered as a Humboldt Bronco, at any time since 1970, to become a member. In the future, we expect to add special memberships for coaches, managers, and other significant contributors. The HBAA is also establishing an independent legacy fund. The intention of the fund is to build on the Broncos’ excellence in its commitment to players, team, and community. With support from the Alumni Association, as well as individual and corporate partners, the fund’s programs may include scholarships, bursaries, and other initiatives. We are currently applying for charitable status for the fund, and will announce a major fundraising event this spring. As a former player with one of the most successful junior hockey franchises in Saskatchewan, I encourage you to become a member of the Humboldt Broncos Alumni Association. Get involved however you can. Help steward the traditions and values of the Humboldt Broncos, for the next generation and beyond.